Senator Rand Paul’s membership in the Senate Foreign Relations Committee should be raising red flags and provoking severe concern across the pro-Israel community. The decision by Republican Senate leaders to give a bigger microphone and a prominent platform to someone who has repeatedly called for an end to U.S. aid to Israel and used his leadership PAC to push an anti-foreign aid agenda is simply outrageous. As we’ve said for months, Senator Paul and his father’s acolytes are becoming legitimate forces in today’s Republican Party — and pro-Israel Republicans have repeatedly and epically failed to address this growing issue within the GOP ranks. Now this failure has very real consequences. The overwhelmingly pro-Israel American public deserves much better than a radical ideologue on the Senate’s primary diplomatic committee who has demonstrated a singular obsession with slashing aid to the Jewish state. 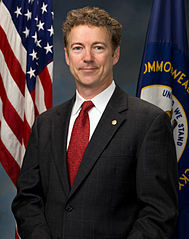 Senator Rand Paul twice pushed for ending U.S. “welfare” (in his words) for Israel — which prompted seven Democratic Senators to author a letter firmly rejecting Paul’s proposal. Further, Paul has been a staunch opponent of general U.S. foreign aid — which has long been supported by the pro-Israel community — and even used his leadership PAC to push his anti-foreign aid agenda during the 2012 campaign. Replacing them will be Sens. Ron Johnson (R-WI), Rand Paul (R-KY), and newly minted Sen. Jeff Flake (R-AZ). Paul has been a thorn in the State Department’s side since he came to the Senate, pushing for drastic cuts in U.S. foreign aid and holding up several State Department nominees. His new SFRC perch will allow him to ramp up those activities.